These are some pictures of a commercial tile cleaning performed by Chem-Dry of Tampa FL. 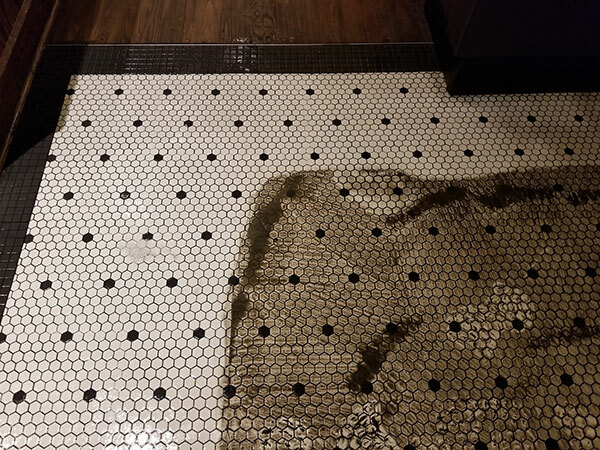 This restaurant has white and black hexagon tile with a black grout line. After the tile was scrubbed there was a thick layer of dirt from 4 years without a professional tile cleaning. Chem-Dry of Tampa uses a proprietary tile and grout cleaner that liquefies the soils on the grout. After it has been dislodged with a brush you get nasty coat of soil all over. The next step is to remove the liquid soil with a pressure washing extractor. You can see in the photos above the area that as been pressure washed and extracted next the dirty areas. When we were done the tile and grout were very clean. 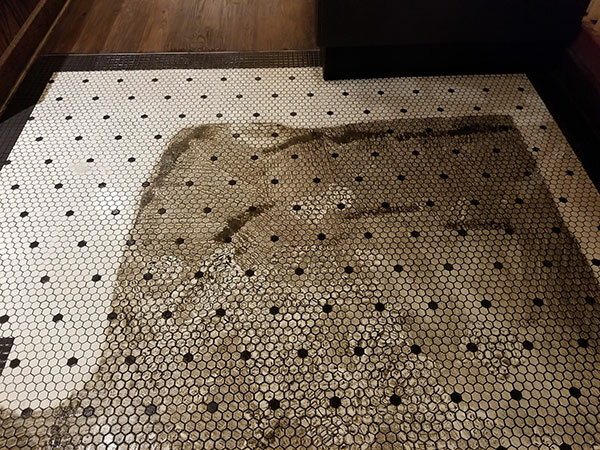 The commercial tile cleaning was a great success. I hope we don't have to wait another 4 years before cleaning it again. For commercial tile cleaning in Tampa FL call Chem-Dry of Tampa.